“The Fukushima disaster is not over and will never end. It’s been five years since a tsunami triggered by a magnitude 9.0 earthquake struck the Fukushima Daiichi nuclear facility resulting in three meltdowns and the release of copious amounts of radioactive debris into the atmosphere and the Pacific Ocean. Not only has the mainstream media failed to address these environmental perils, it has also failed to adequately report on the extent of the cover-up by Japanese, U.S. and international authorities. 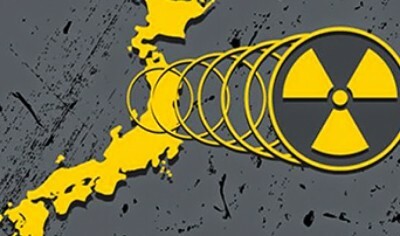 In a 2014 article for Counterpunch, State University of New York/College of New York journalism professor Karl Grossman detailed the Japanese government’s efforts to defend the nuclear industry at the expense of the welfare of the public. For instance, the Japanese government increased the maximum allowable radiation exposure level from 1 mSv (millisievert) per year to 20 mSv per year, allowing authorities to reduce the number of required evacuations. On the occasion of this anniversary, the Global Research News Hour brings listeners two related interviews on the topic of Fukushima and lessons learned. The first interview is with Linda Pentz Gunter, international specialist for the environmental advocacy group ‘Beyond Nuclear.’ In this conversation, Gunter addresses the question of whether nuclear is being seriously explored as an alternative to the climate-ravaging fossil fuel industry. She also outlines aspects of the Fukushima cover-up, and why international bodies and media are failing to hold nuclear and government agencies to account. In the final half hour, Portland-based Mimi German, Earth activist and founder of Radcast.org, speaks more about the cover-up, the nuclear situation in the U.S. and the consequences for society and all life on earth. For more on Fukushima, please read Global Research’s comprehensive report.